Use of water for filling or replenishing an artificial pond, lake or similar application – – excluding fish ponds. These are all completely understandable as everyone should put priorities first. We at Allied have started taking action and refrained from washing our trucks and vehicles. Our employees have also been informed about reducing water in the work place and to be responsible. Here are some ways that you can reduce your household consumption. 1. 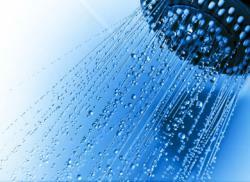 Reduce the Shower time, try set timers for each family member to reduce their time. Low water shower heads reduce the water while keeping the power can be bought in any hardware or online. 2. If you have an older toilet without ‘dual flush’ a handy tip to reduce water is to , place a filled plastic or glass bottle in the cistern. This reduces the water flowing back into the toilet. 3. Only wash full loads or dishwashers. *Please fill the dishwasher properly as you will surprise yourself how much you can fit when filled correctly and sufficiently. Try to use the energy saving or light wash also opposed to the intense option. Also pots shouldn’t go in the dishwasher but if you really cannot find the time, pre-soak helps shift those stains. 4. Do you really need to wash all those clothes? Everyday clothes are not made for one wash only depending on what you may be doing. Inspect the clothes and if you really feel they will not get another wear then they may go in the wash ( a full wash, at that). *Teenagers and young adults have a habit of throwing clothes in the wash basket instead of folding and placing them back if it doesn’t suit style for the day. Have words and break the habit. 5. Whether it be washing your teeth, hands, face turn the tap off if you are not using it! Same applies to washing the dishes or food. 6. For your garden, a great tip is installing a water barrel to gather rain water from your gutters and drains. This is in expensive way to keep your garden looking lush. It doesn’t take much common sense to steer clear of large paddling pools and Jacuzzis. The car really does not need to washed. Also the lawn might look unhealthy and brown but will return to full health the first drop of rain so it really doesn’t need to be watered. Hopefully all of the above can be taken into everyday use and not just during the summers and heat waves. We can survive weeks without food but only days without water, just let that ‘sink’ in! While we are all getting environmentally proactive in the hot weather can we leave out some bowels of water for the birds and wildlife. They are not used to this drought just as much as us!